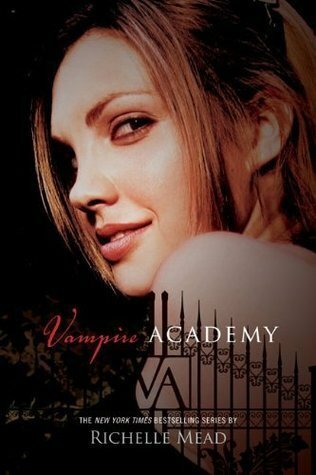 My Thoughts: I am probably one of the last people to read the Vampire Academy series but I’ve been working on my own TBR pile lately and I finally got to read this one! We are introduced to Rose and Lissa. Both girls are so much alike but so different. Lissa is a sort of princess, royalty and Rose is somewhat of a protector of Rose. They go good together as friends, and partners (kind of). They mean a lot to one another. Well, they are on the run but get caught and get sent back to their Private school (was it)? I really liked the school plot. It was basically like a boarding school. I also liked all the other characters thrown in. Especially Christian and Dimitri. Oh Dimitri. I knew the moment I met him I would really like him. I liked his personality but I also liked that he was tough. For some reason, I always thought Lissa would date Christian, from the little bit of spoilers I’ve heard. I’m glad it was Rose who liked him though. Vampire Academy was a nice start to a interesting series. I flew right through it and I can’t wait to find out what happens next. I was excited to see everything that happened, and how it happened. Overall: I liked this one!! I’d say probably between a 3.5 and a 4 cupcake rating. I’ll be excited to see what happens next in the story! 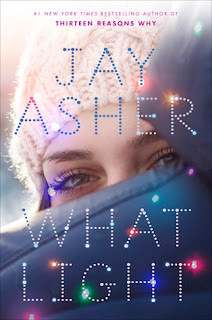 Summary: From Jay Asher, #1 New York Times bestselling author of Thirteen Reasons Why, comes a romance that will break your heart, but soon have you believing again. . . .
My Thoughts: I really enjoyed this cute little story! But it was kind of weird reading the ARC in 90 degree weather when it takes place around Christmas time but hey it still worked for me. We are introduced to Sierra who lives with her mom and dad. She has a few best friends and school. But during a few months of the year they pick up and go to their Christmas tree farm and sell trees to the locals! So cute! I loved seeing her pick out trees and sell them to the families that came in. I also loved her mom and dad. So cute. We meet a boy who comes to buy a tree named Caleb. I loved Caleb from the minute we meet him even if it’s a bit awkward and there are a lot of rumors surrounding him. I loved hearing Caleb’s story and realizing he wasn’t perfect. He’s made mistakes but he’s trying to get past them. I really enjoyed Sierra and Caleb’s relationship. I loved her best friends. I loved her parents. I really enjoyed this one. Read it in one sitting and bam I was done. It was a cute little story! Overall: I really enjoyed this one! It was a fun and nice story. It wasn’t really long and it just flew by! I could see this really sprucing up your holiday season! 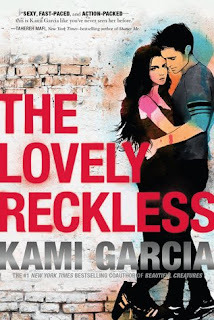 Cover: Love it!!! It feels so beautiful and warm. Summary: A year ago, Flynn Cormac and Jubilee Chase made the now infamous Avon Broadcast, calling on the galaxy to witness for their planet, and protect them from destruction. Some say Flynn’s a madman, others whisper about conspiracies. Nobody knows the truth. A year before that, Tarver Merendsen and Lilac LaRoux were rescued from a terrible shipwreck—now, they live a public life in front of the cameras, and a secret life away from the world’s gaze. My Thoughts: Gosh, I was stuck on this one a while. It took me almost 2 weeks to read it and that is not like me at all. We are back with more characters from the Starbound books and this time we spend more time with Sofia and Gideon. I had a hard time connecting with either character. I don’t know, there was just something about each of them I just couldn’t get with I guess. I don’t know if it was their personalities or just more the plot of this one. Sofia is pretty good at convincing you to do things she wants you to do and Gideon is a computer hacker who can pretty much do anything. 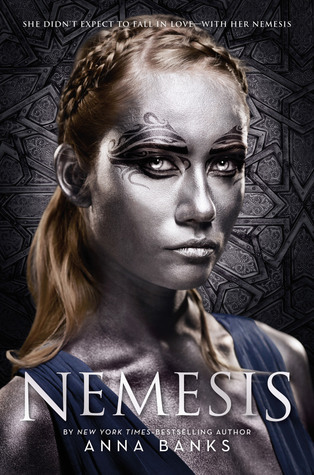 I really liked the first two books but this one just left me feeling a little ewwww. I don’t even know why. I just didn’t enjoy it as much as the others. I just didn’t connect as great with this one. Overall: I did finish this one, it just took me a while to actually finish it I guess. It’s not a bad book by any means, I just couldn’t get into it and I had to push myself to finish it. And I really liked the others in this series so far. Hopefully I like the next book by these authors more. And, a lot of 4 or 5 star reviews for this one, so my guess is it was just my reading mood and I just had a harder time connecting with these characters!! 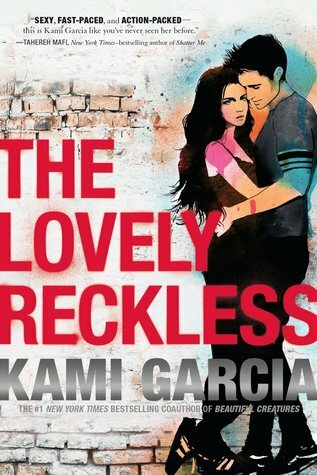 Be sure to give this one a chance especially if you’ve already read the others in this series. Cover: Like it! I always love the color schemes of these books! My Thoughts: Oh gee whiz!!! I loved this one!!! Oh wow.. Amazing… Spectacular. We are introduced to Princess Sepora who has run away from her kingdom letting everyone think she is dead. We start the story right there in her head. She’s out in the middle of nowhere just trying to get to her destination and it’s not easy. Especially since she meets some unsavory characters. We also meet Tarik. Tarik is the newly king and he has so much responsibility to take over. He must find spectorium but Princess Sepora is the one who can only make it. Gosh that sounds confusing but this book was so freaking good!!!! The first few pages I had trouble getting into but by page 30ish I was so sucked in by the story and how good it was getting I had to keep reading and boy did I.. Page after page, I wanted to know what happened next.. But the problem was, it went from Sepora’s point of view right to Tarik’s and we’d have to wait a while to see what happened next in the other’s world. I loved how caring and passionate both characters were and once they met each other it got even more great. How is that possible? It was. Both Tarik and Sepora have their own goals and when they collide it’s quite the rough house. I want to say so much about this one but I feel like I just can’t or else I’ll give away spoilers. I loved loved loved this one. One of my favorites of the year so far! Overall: I can’t wait until the next book in the series! I’ll be picking it up right away!! 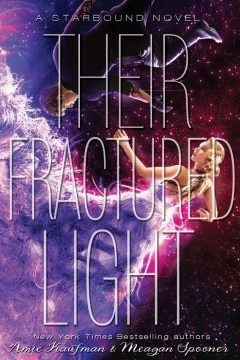 If you like romance and Dystopian feel than try this one out!!! This was a lot of fun! Cover: Love it!! It fits perfectly! It’s dark and gritty! Summary: I’ve become an expert at avoiding things that could hurt me—which means I will figure out how to stay away from Marco Leone. My Thoughts: Dang, this one really sucked me right in. It reminded me of Katie McGarry. It just had that rough bad boy feel to it and that good girl. We are introduced to Frankie who has spent most of her life well off. She comes from the good part of town and went to a good school. Well, she witnesses her boyfriend's death and that changes everything for her. Frankie ends up moving in with her father and changing schools. She also has to go to an after school program where she helps kids. Frankie helps them but she also learns so much from them, which I really liked seeing. And that darn cat, wow that made me want to cry! We are also introduced to Marco. Sweet Sweet Marco. He’s that bad boy who you have to love. Marco has his fair share of problems but deep down he’s a smart and loyal person to have in your life. I also liked Marco and Frankie’s friends. They each were so distinguished and had their own personalities! I also liked the plot and the scenery. It was a rough neighborhood and even a somewhat rough school but I liked seeing how things played out. I really enjoyed this contemporary. I feel like a lot does happen and I liked seeing all the events and how things ended up. Overall: I flew right through this one! I really liked it a lot! As for Frankie’s boyfriend’s murder, I just had a feeling that is how it was going to end. I kind of seen that coming even though it still surprised me a little bit. I really enjoyed this one! I did feel like their relationship was a little too rushed but that’s okay. Cover: Love it!! I’d definitely pick this one up in a store! It would have to go home with me!